Unpopular opinion: Wearing a suit every day is actually pretty great. First, you never have to worry about whether or not your outfit matches, because it’s a coordinated set—getting dressed each morning becomes a streamlined task. On top of that, you can always count on looking your best, most polished self. Not only does this do wonders for your confidence, but it also shows your colleagues that you take pride in what you do. 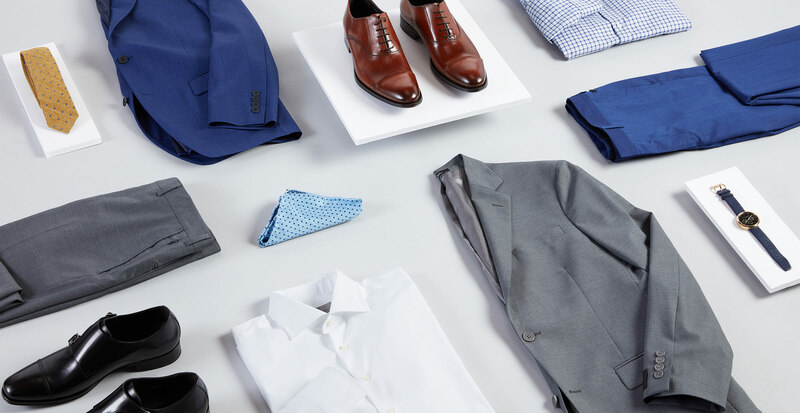 Ahead, we’re sharing two of our favorite men’s business formal looks, and the key pieces you’ll need to create them. 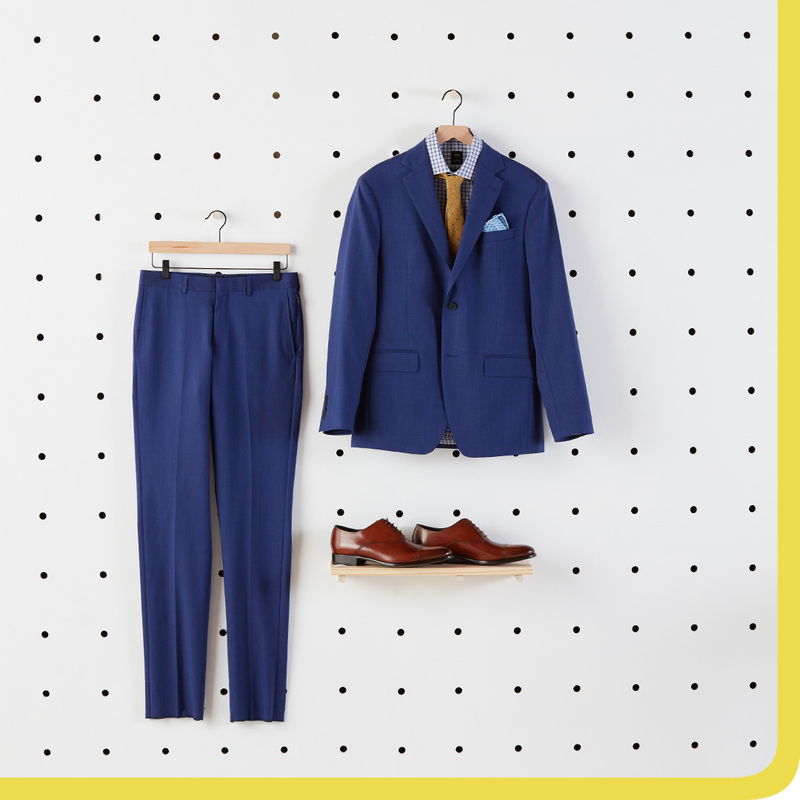 If you prefer a no-nonsense look that is sophisticated, nothing works harder than a cool-toned suit. We love anything on the grey scale because it can easily transition from the boardroom to more formal occasions. For conservative corporate cultures, it’s best to keep things classic, like we did here with a crisp white button-down and simple tie and pocket square. 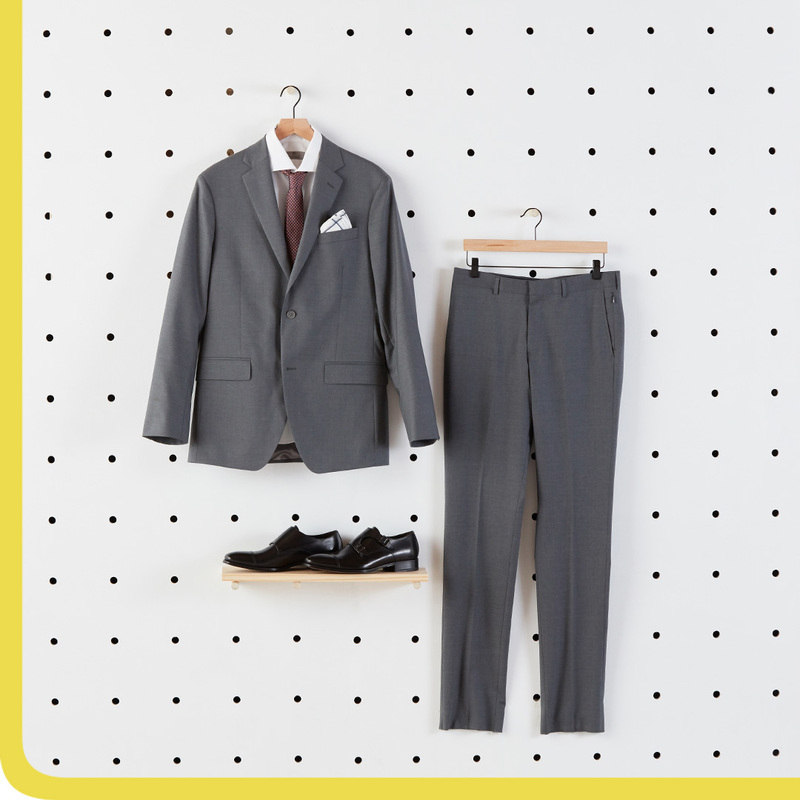 The key to nailing a business-formal dress code is making sure that the fit is impeccably tailored to your frame. You may even want to consider going for a custom suit to ensure you look at the top of your game. Filed under things we love, is a navy-blue suit. And when styled with a mixture of colors and patterns, it has personality, while still remaining business formal. It’s the kind of outfit we’d recommend wearing to make a lasting impression, especially if your calendar has an important presentation or meeting scheduled. The trick to incorporating multiple prints and colors successfully is to be mindful of scale, and pick one anchor color that’ll run throughout each piece to bring it all together. In this case, we have navy checks on the button-down, and navy micro-dots on the tie and pocket square. It all coordinates beautifully.